Depoliticization has begun with the advent of new Prosecutor General Yury Lutsenko to the General Prosecutor's Office (PGO), Head of State told a press conference on Friday, Ukrinform reports. "I emphasize that with the advent of Lutsenko to the Prosecutor General's Office the process of depoliticization is taking place. I was very happy when today at the signing of the loan guarantees ceremony U.S. 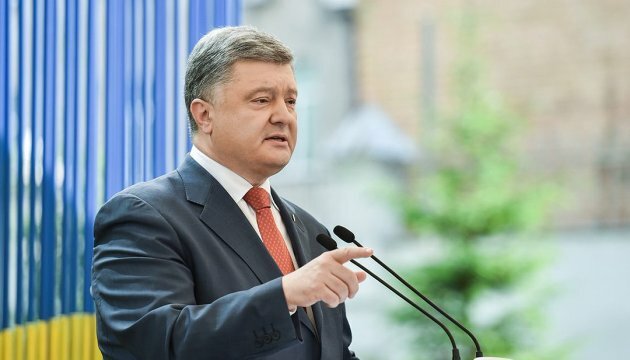 Ambassador Jeffrey Payette pointed out that we are very satisfied with the de-politicization of the PGO, we are very pleased with the level of cooperation which is demonstrated," Poroshenko said. He said several senior American advisers who act as guarantors of these processes will arrive in late June.